It's been a hell of a few weeks! Beyond moving to a new house and starting a new job, I've had a lot of science going on. A couple of weeks ago my off-the-cuff post "we are all inattentive superheroes" kinda... well... blew up, much to my surprise. It got picked up by BoingBoing, the Seattle PI, metafilter, Forbes' Robot Overlords blog, and many other places. Since then I've been asked to write a post for the Scientific American guest blog. My post for that will go live next week (I'll post it here once it's up). I've also joined The National Academy of Science's "Science & Entertainment Exchange" as a consultant, which may be pretty exciting. 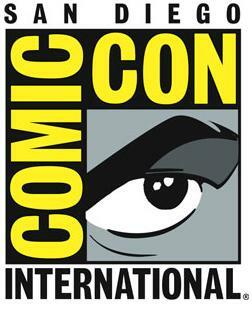 Next, as part of my work with the Zombie Research Society, I'll be speaking on a panel called "History of the Modern Zombie" at this year's Comic-Con. I've been going to Comic-Con since I was about 12, so I'm really excited about being a part of this. The other piece of big news is that my post-doctoral grant got funded, which means starting this Fall I will be employed at UCSF working in Adam Gazzaley's lab. This guarantees me three years of funding, which is great. I'm going to continue my research on the role that neuroplasticity plays in cognition. While I'd love to tell more, I'm being intentionally cagey about the details right now as we're already considering publishing a paper based on some of our results. But it will be a few months before I start at UCSF, so I've got a few free months. In the meantime I'll be working with one of my oldest friends, Curtis Chambers, at the startup where he works in San Francisco: Uber (New York Times coverage here and here; Wired here). In short, it's an on-demand car service where you reserve a black-car via an iPhone or Android app, or via SMS. I'm working as their computational scientist (aka, "data pornographer") working on internal tools and analytics as well as writing a public-facing blog. Our goal is to use our historical data to more accurately estimate and reduce pick-up times. I conceive of this as a Silicon Valley sabbatical, of sorts. For those of you who know me, or who saw my Google Tech Talk, you know how important a role I believe data will play in the future of science. Part of that will be sophisticated data mining and analytics, and that will be complemented by data visualization. brainSCANr was my first attempt at bringing neuroscience into the data-driven future. By working closely with the tech community, I hope to gain new skills and connections that will help me go farther. The data visualization and analysis I'm doing at Uber has been really fun; the data we're collecting here is huge. It's very data-driven. It's seriously impressive, and I think that neuroscientists (and academics in general) could learn a lot by interfacing with tech companies. This past weekend my wife and I were driving around and I was geeking out about some of the analytics that we're working on at Uber. Her response was (to paraphrase), "it's amazing what happens when you put a bunch of nerds in a room together; somehow you guys are making getting a car to pick you up an interesting problem". More and more I have become interested in the data collection > analysis > visualization > interpretation workflow, and how technological improvements can help neuroscience research. For the most part scientists and researchers, by definition, have very specific domain knowledge. But neuroscience in particular is a field that requires more knowledge than any one person can integrate: biology, chemistry, mathematics, philosophy, linguistics, psychology, and so on. The farther along the field gets, the more tools will be required for data analysis and visualization of brain data. That is, the field badly needs maps and analytics tools. Statistics and programming are becoming critical components to assist in the neuroscience research process. Which is exactly what I'm doing for Uber. I'm building geo-location and analytics tools using python and js. It's amazing how much optimization and analysis can be done using the data we've collected. As Henry's post shows, every ride you take makes us smarter. Mapping the flow of a city like San Francisco or New York is amazing. At the same time, I'm in an environment with amazing coders and thinkers, learning new tools that I can then turn around and apply to my research.